Prop-Plane or Jet To Neighbor Islands in Hawaii? If you plan to island-hop while you’re in Hawaii or visit at least one neighbor island while making Oahu your “home-base,” you’ll no-doubt be faced with a dilemma: Should we take a smaller “prop-plane” to the other islands or spring for the jet? Price: If you’re looking for a cheaper flight to a neighbor island, making a reservation with an airline like Mokulele Airlines (9-seater propeller planes) may be the cheaper option… but not always. When we booked our flights from Honolulu to Kona over Spring Break, Mokulele Airlines was a full $100 less expensive per ticket than Hawaiian Airlines (jet). But, while writing this post, I played with some dates, and during certain times, Hawaiian Airlines is less expensive. In general, however, propeller plane airlines, like Mokulele Airlines, will be cheaper than Hawaiian. 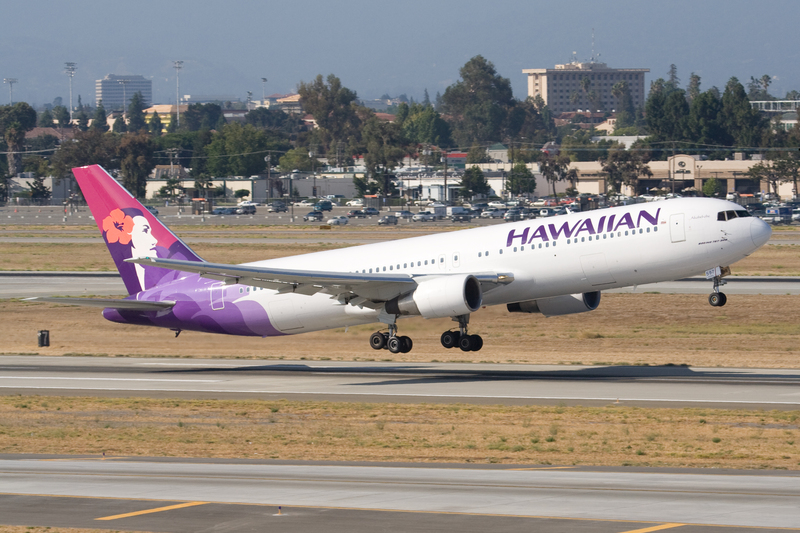 One advantage in taking a jet airline, such as Hawaiian Airlines, is time. You will likely arrive at your destination quicker if you take a jet. Experience: Are you looking for a quick, non-turbulent experience when you fly to the neighbor islands? Or, do you prefer a slightly slower, but much more scenic trip? If you decide to take a jet during your neighbor island excursion, your experience will be similar to that of longer flights. Because airlines like Hawaiian use jets to hop island-to-island, the turbulance is typically minimal, and the flight time is short (about 20-minutes when you reach cruising altitude). When you take a propeller-plane airline like Mokulele, your cabin space is small, since the planes only seat 9 passengers. And, you may feel more turbulance because of the aircraft’s small size. BUT, you can’t beat the scenery. On our latest trip, one passenger told me “I would have paid just to take a ride in this!” Because these aircrafts typically cruise at a lower altitude, you can get a bird’s-eye view of the islands. My husband and daughter even saw a whale breach from the window. 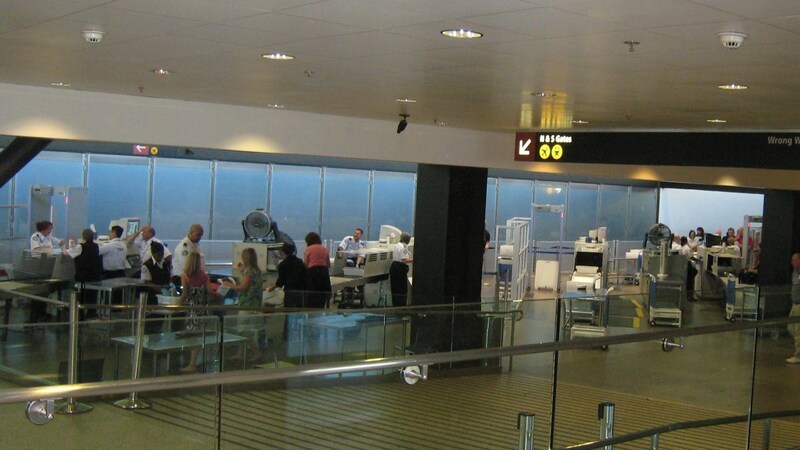 Convenience: If you decide to take a jet to the neighbor islands in Hawaii, you’ll likely need to go through the regular security checkpoints, even if you are leaving out of the commuter terminal. And, that’s the case for prop-plane airlines, too (in Honolulu). However, on the neighbor islands, Mokulele Airlines operates out of an even smaller terminal with no TSA checkpoint. Depending on how you feel about TSA, this can be good or bad! On the other hand, if you take a prop-plane airline, be prepared to tell your weight to the gate agent or weigh yourself right there and then! Bottom line: you’re in-and-out quicker on a prop-plane, but you may be forced to forfeit TSA. When you take Mokulele Airlines, you will be able to bypass TSA at all airports, except Honolulu. Each option has Pros and Cons associated with it, and a lot depends on your style. But, if you want to jaunt from Oahu to the Big Island for a whale watching tour or jump from Maui to Kauai for a hiking tour, you’ll need to decide how to get there. So, let these tips help you decide. And, enjoy your trip to neighbor islands in Hawaii!